All Seniors Care is an established company in the world of seniors care, from one of the oldest, most respected and accomplished family names in the retirement residences field. The visionaries behind All Seniors Care – the Kuhl family, George Kuhl and sons Joshua and Michael, and their longtime partner Lily Goodman – are men and women who, between them, bring over 80 years of leadership and achievement in providing the highest quality seniors’ services to over 20,000 Canadians. To be a recognized leader in seniors care through development of superior facilities and supply of innovative support services which encourage growth of healthy, active communities. To deliver support services that our residents need to ensure ongoing quality of life throughout the years at any of our beautiful buildings. ▪ Create a warm and supportive family environment. ▪ Provide the necessary support to aid with the lifestyle adjustment for new residents. ▪ Help ensure the well being of all residents with trained staff on-site 24 hours a day, 7 days a week. ▪ Encourage an active and vibrant lifestyle with each new state-of-the-art facility being built to the highest standards of quality in design, features and services. For more than 30 years, the name George Kuhl has been synonymous with visionary leadership and achievement in the Canadian retirement home industry. Throughout a long and storied career characterized by a commitment to quality in providing retirement living services, George has built or purchased more than 200 retirement and long-term care facilities. All Seniors Care Living Centres is the next iteration of George’s commitment to caring for seniors, and will benefit from his executive leadership, unparalleled expertise, and in-depth understanding of the Canadian healthcare landscape. George credits his record of achievement to practicing a hands-on approach, and paying attention to detail. It is this approach, first applied in the development of the Meadowcroft Retirement Centres, which enabled George to eventually acquire additional properties in 1994, and to grow the company seven-fold over the next ten years. Most recently, George was Vice-Chairman and Trustee of the largest provider of accommodation and care for seniors in Canada with a capacity of 25,000 rooms and assets of more than $1 billion. She has over thirty (30) years of leadership and operations experience in the senior living industry. This includes the administration of independent retirement houses, assisted living complexes, homecare and purpose-built dementia buildings in both public and private organizations. Previously Ms. Goodman was the Chief Operating Officer of Retirement Residences REIT (RRR.UN – TSX) from 1997 – 2004, which was the largest retirement home chain in Canada with 140 retirement facilities and 15,000 residents. RRR was purchased by the Public Service Pension Plan and is now operating under the Revera name in Canada, the United States and England. Previous to that she was COO of Meadowcroft Retirement Homes. Ms. Goodman is currently a member of the Clinical Strategy, Quality and Safety Committee of Baycrest Health Sciences, a global leader in geriatric residential living, healthcare and research. She is a past Board Member of Sunnybrook Hospital and is on the Governing Council of the Sunnybrook Foundation. She is a past Vice President of the Ontario Residential CARE Association and a past Board Member of the Starlight Children’s Wish Foundation. Ms. Goodman is a registered nurse by profession and has recently graduated from the Directors Education Program at the Rotman School of Management. Michael is an experienced senior manager who has used his financial acumen to ensure quality retirement residence experiences for seniors in both Canada and the United States. A chartered accountant by training, Michael is expert in the management of the accounting, finance and IT operations of the seniors housing industry, having worked for publicly-held and privately-owned companies. Before assuming the position of All Seniors Care Living Centres CFO, Michael was Vice-President and Treasurer of Retirement Residences Real Estate Investment Trust (TSX:RRR.un), working alongside George Kuhl, Lily Goodman, Joshua and Michael Kuhl – the rest of the All Seniors executive management team. Michael shares with them the vision of All Seniors Care Living Centres as the place where caring is our number one concern. Michael brings to the leadership team of All Seniors Care Living Centres extensive experience in developing and managing first-rate retirement home facilities. Most recently, he served as Vice President of Development for Central Park Lodges Developments. During his tenure there, Michael oversaw the development of new facilities from initial concept through to completion. His role included acquiring suitable lands, planning, engaging and working with architects through the design stage, tendering, and executive responsibility for the entire building phase. In this way Michael supervised over $200 million in new retirement home developments and renovations across Canada. In addition, he also managed capital expenditures for the retirement home division of Retirement Residences Real Estate Investment Trust, and was responsible for $30 million in facilities improvements annually. Joshua’s involvement in the management of exceptional retirement living facilities spans more than a decade. In his former role as Senior Executive Director for Central Park Lodges, Joshua was responsible for all aspects of daily operations, including resident services, facilities management, financial reporting and accountability, marketing, and directing the activities of all the staff members in his management portfolio. Joshua and his team ensured the creation and smooth operation of dynamic, healthful, retirement living experiences for seniors. During his tenure there, Josh also helped grow Central Park Lodges through the acquisition and integration of new facilities. 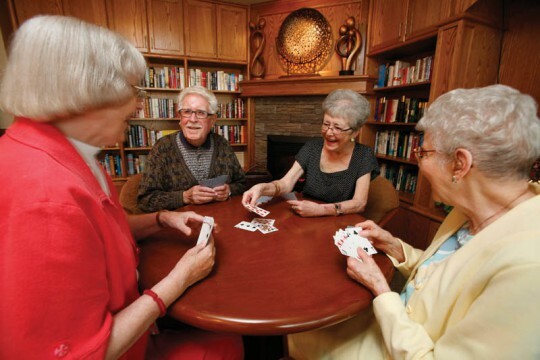 He assumes management of the day-to-day operations for All Seniors Care Living Centres. Joshua is a past Vice-President of Operations for the Ontario Residential Care Association. He completed his MBA in Healthcare Management.